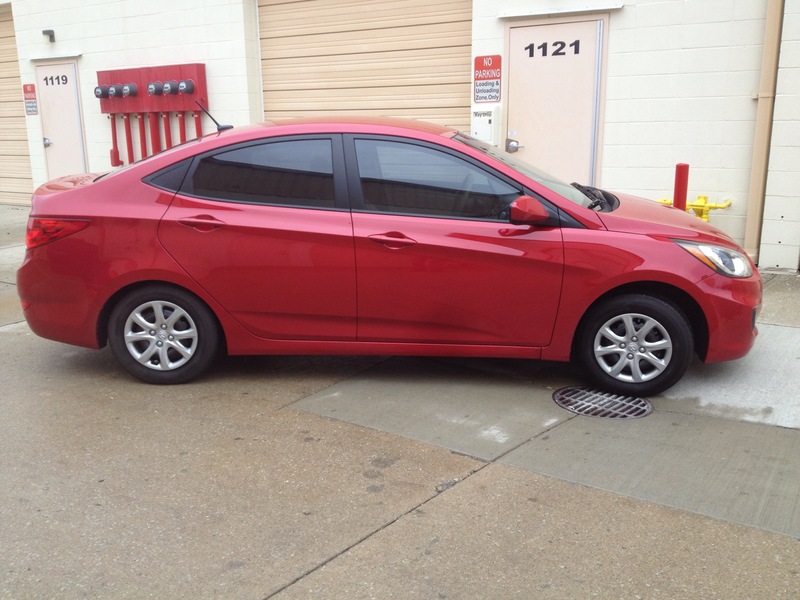 "Is Dealership Installed Tinting a good idea since I am going to buy my car there anyway?" Sounds reasonable. But before you do that, you should read what this page has to say first. More and more new car dealerships are getting into the window tinting business. Why is that? There are several reasons and this page will help you make the right decision. "Don't ALL dealerships tint cars at their store??" The answer here is no. Many contract it out to a reputable tint shop. 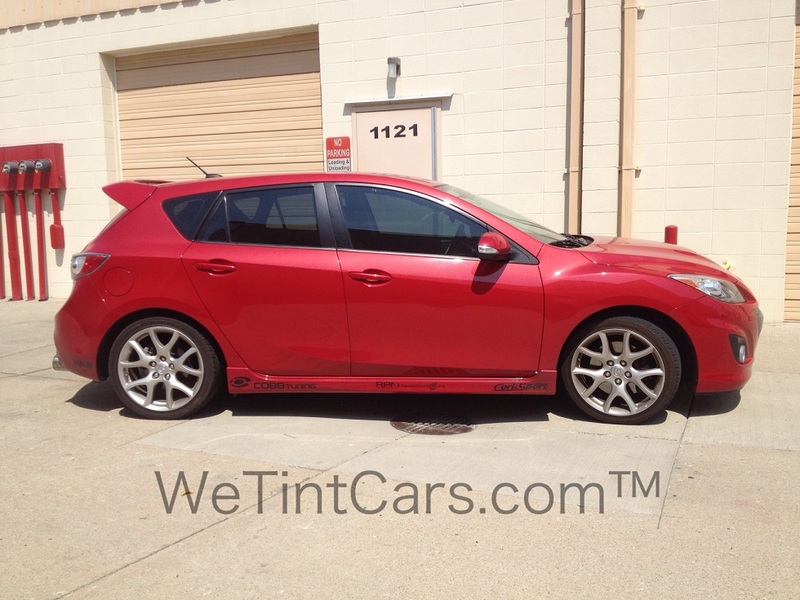 The dealerships that actually have an employee of the store tint the cars, were usually looking to make more money on the sale of the vehicle, so they bought into a dealership installed tinting program. The "pitch" usually includes the promise to train ANYONE in the dealership to tint cars in about 2 weeks. After giving the employee a crash course in the application of window tinting, the new "installer" is thrown to the wolves and expected to be as good or better than someone who has been installing for years. This is a bogus claim. (Most quality minded window tint installers are those who were trained over a period of several months if not a year or longer. One of our best installers was trained over a 24 month period). "Stepping over dollars to pick up dimes..."
Nearly everyone at the dealership from sales to service, the customer, and the installer becomes disillusioned or irritated with this program in a relatively short time. Declining CSI (Customer Satisfaction Index) scores usually accompany the program and costs the dealership $1000's in lost sales. In most cases, the only one who wins is the salesman who sold the program to the dealership. Dealerships who stick with the "in-house" program for longer than a few years find themselves struggling to deliver consistent quality installations. Once their "installer" quits, the dealership is forced to start the process all over again training someone else again from scratch. Any installer who truly becomes skilled will eventually quit the dealership and opt to tint cars on his own, effectively cutting out the dealership at their expense. The average time a dealership stays with an "in-house" program is about 2 years at which time they call a reputable tint shop to take over the disaster for them. Why would any reputable dealership risk the headaches associated with dealership installed tinting when they should stick to selling quality vehicles and leave window tinting customer cars to the professional tint shop?? 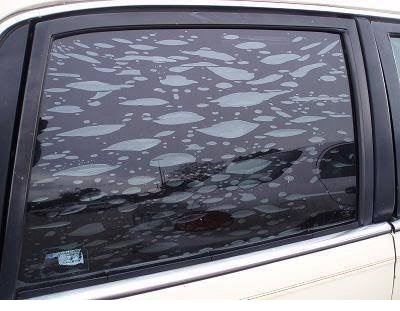 Below are some reasons why new car dealerships are tinting windows on their cars. DO NOT BE FOOLED - Selling cars is a business! While there are nice people at the dealership, no one at the store (no matter how friendly they appear) is your friend! They are in the sole business of making money, and as much money as they can on you and every other person in town. The margins for profit on the sale of a new car are very tight. Competition between the different dealers is fierce! The Internet has leveled the playing field between customer and dealer. Years ago most dealerships could survive on the profit from the sale of the vehicle alone - NOT ANYMORE. Now everyone is scrambling to increase the "gross" on a new car deal. The higher the gross, the higher the commissions, the higher the profit for the dealership. The best way to do that is by adding on accessories to the vehicle. In recent years, dealership installed tinting has become a popular money maker for them. 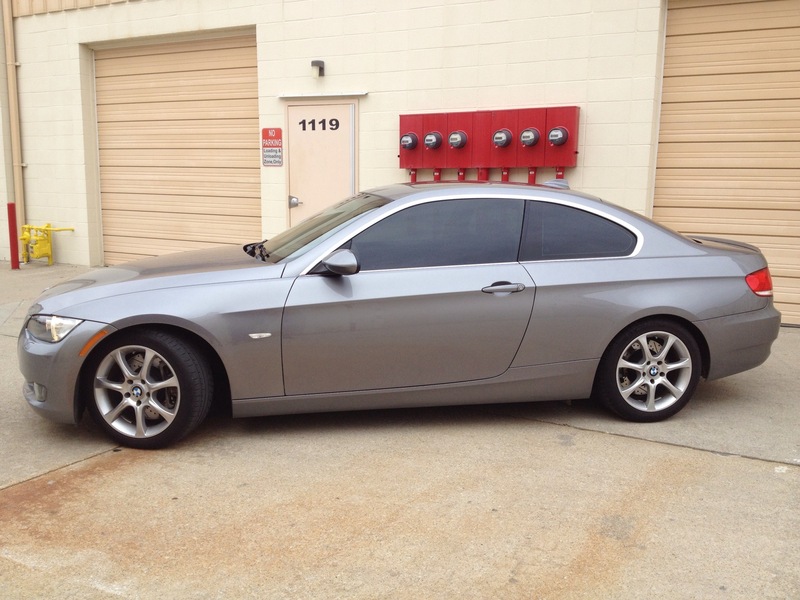 By adding the window tinting to the vehicle before the sale the dealership is able to profit from the window tint too. Typically the dealership will contract with an installer of window tint to come into their facility and install window tinting onto the vehicle somewhere in the back area of the service department. This "outside vendor" is usually someone who has been tinting cars for a while - but NOT ALWAYS. Often the dealership has invited someone who is the lowest in price, quality, and ethics to tint your vehicle. Some of these "tinters" are only in town for the season and then head south as soon as the snow flies. The "tinter" installs the cheapest film he can - hey you're not HIS customer, you belong to the dealership - and then the dealership marks up the job as much as $300 or $400 rolling it into the financing. Hey, whats an extra $3 per month to your payment? Remember, it's all about the bottom line, so quality is not the issue for them. Your signature on the deal paperwork is the only thing they care about! 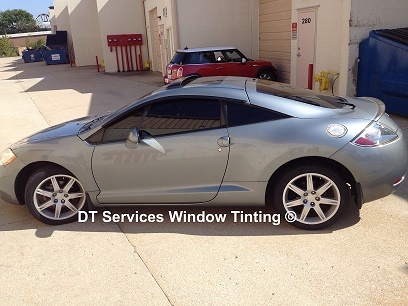 Installation of window tinting is an art that must be developed over time. A quality window tinting company will use skilled installers and pay them well for their expertise and finesse. For a dealership installed tinting program to have any chance of success, the dealership must rely on "cheap labor". In fact, most young installers are paid just a few dollars over minimum wage which is a great cost savings to the dealership. The less the program pays for labor, the greater the profit margin. If the employee who tints the dealership cars only views his job as an 8 to 5 way to collect a weekly pay check... will he do a good job on your new car?? Do you really want someone learning on your new "baby"? Do you really want to trust your new $25,000 to $90,000 car to someone who was washing cars just last year and now is the dealership's window tinting "expert"? As with any business, the goal is to make money the cheapest way one can. This is not lost on new car salespeople, or the owner of the dealership. Dealership installed tinting typically relies on someone to supply them with the cheapest materials in order to make the most amount of money per vehicle. 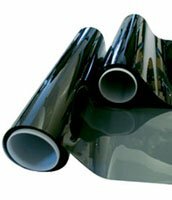 With globalization of the world's economy, many low cost manufacturers from economically distressed countries are producing window film at very low prices, and with very cheap labor. The quality at which these films are manufactured and marketed are highly suspect. Never before in our industry have so many new "manufactures" come on the scene to sell window film. You have just spent anywhere from $25,000 to $90,000 or more on your new car. Do you really want the dealership to use inferior window tinting products on it? "Why would anyone allow a dealership installed tinting program to charge them 3 or 4 times the actual cost?" This is one of the biggest reasons EVERYONE should question the dealership installed tinting program that is operating where you buy your new car.! "In-house installers" are typically someone who was - until recently - been doing other things in the dealership INSTEAD of window tinting (i.e. - washing cars, changing oil, moving cars around, sweeping the floors, etc.). But now, after a crash course in the fine art of window tinting, he's an expert??? Quality is not cheap, but it doesn't have to be expensive either! Dealership installed tinting programs fail to deliver. At the end of the day, you want the vehicle you have just purchased with your hard earned money, to be enhanced by window tint that has been professionally installed by an expert in the field. Contacting DT Services Window Tinting LLC will get you exactly that. Dealership salespeople know they have you in a relaxed atmosphere. You, in all likelihood have started to trust them and you are getting more and more comfortable with the process of buying a car. Then the salesperson says something like "You know, we can tint your windows for you here and then that way it will all be done when you pick up you car". Are they doing you a favor? What is really going on? The sales staff is again, trying to get the "gross" - the overall amount you end up paying for the car - up as high as they can by adding on additional accessories. Remember... their JOB is to SELL. Window tinting, and any other accessory for that matter is not something the store is highly trained in doing. Do you really want your new car to look like this? ?